Hi, my name is Willy Ma. I was born in Hong Kong and moved to Canada to finish high school. I then attended college in the US and made Los Angeles my permanent residence. I am a member at Lakeside Golf Club in Burbank, Los Angeles, California founded in 1924: Bing Crosby was club champion 5 times. I am also a member at Village Country Club at Lompoc, California in Santa Barbara County. My current SCGA Index is about 14. I started playing golf in the 1980s and take regular golf lessons from various golf schools and PGA Professionals so hope to get to single figures before too long. I often plan golf trips for my group of 8 to 16 golfers from all over the world aiming to play the world’s best courses. We’ve travelled to Scotland, Ireland, Spain, Australia, New Zealand, China, Canada, Thailand, Vietnam, Laos as well as locally in US. 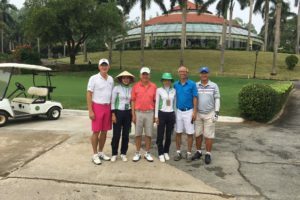 Golf in China used to be my favourite but after this Vietnam and Thailand trip arranged by Golfasian, I would come back in a heart-beat. I find Southeast Asians are the friendliest and most respectful people…..and our dollars go a long way. I would like to plan more trips to Southeast Asia and eventually find a place there to retire. My wife is also an avid golfer but she cannot deal with the humidity and mosquitoes. I also love the food and massages; the only way to end a day’s golf. There’s no place like Thailand. 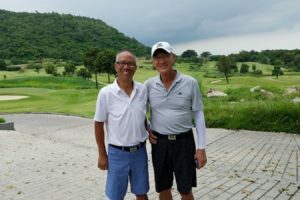 On my recent trip to Hanoi, I loved all the courses we played in the itinerary except The BRM Legend Hill. It didn’t seem like a Jack Nicklaus-designed course at all. Notwithstanding, my most memorable hole was a 498 yards par 5. I was on in two with a 12 foot putt for an eagle; lipped out and made a birdie; very satisfying. 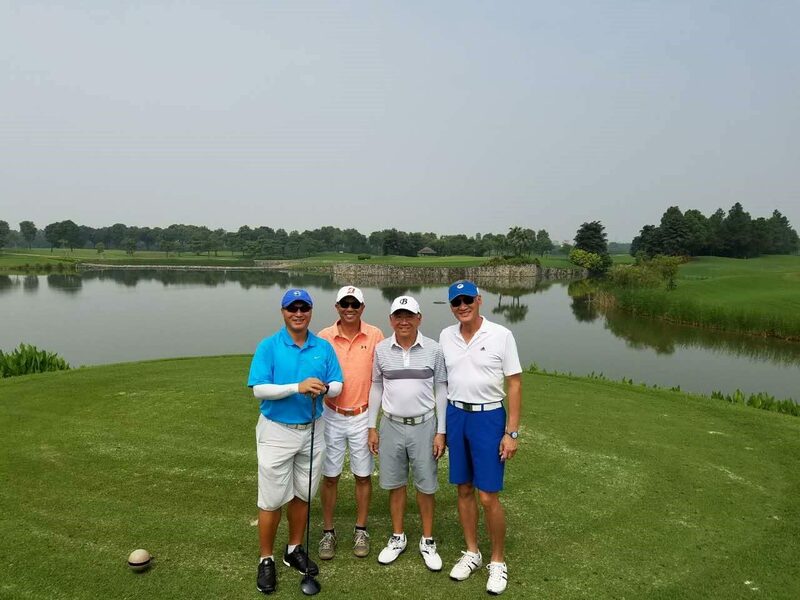 We played the blue tees at all venues and found the courses in Hanoi were very challenging and well designed. My preference has always been for old established courses rather than modern ones. My best rounds on this trip were at Sky Lake and Kings Island in Hanoi, Springfield and Banyan in Hua Hin. Everything was perfect until the last round at Black Mountain in Hua Hin. I was so looking forward to playing there but the whole experience that day really disappointed me. The course condition was poor, muddy and wet with track marks all over the fairways. There was not one hole that was decent. On top of that, we backed into a group of beginner, older golfers from Australia. They were talking on the tee box most of the time and one guy in particular was always far behind his own group. It was a five hour round and I had to wait five or more minutes to hit all my shots. I asked our caddies to go around them but they were afraid to do so. I wish there were Marshalls at these courses and people would be more considerate of others. I really wanted to quit after 9 holes. A shame things turned out that way because I’m sure such a prestigious course is wonderful in its prime. The hotel selections in the package were very good especially the Anantara Resort. I liked the Anantara for its location away from all the tourists, plus the staff there were excellent. The manager Sheldon was always there to greet us at the breakfast buffet which was a nice touch. We totally enjoyed the breakfast buffet which was a great way to start our day before golf. All the Golfasian drivers were courteous and patient. Lastly, I would like to thank Ms Ha Bui Viet for planning our package and our guide Brian Tho Nguyen in Hanoi for making our trip so pleasant. They both really went the extra mile to help us with any request. It was a memorable trip and we can’t wait to return for more.